Home community contact Dancing For Dogs! We are thrilled to announce, and quite honoured, that we are one of the rescues that will benefit from an amazing dance event being held in Richmond Hill on November 28th. Thank you SO much Scott, we can’t wait to see the show! Read the Media Release below to find out more about Dancing for Dogs! 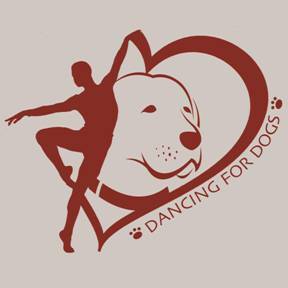 On Friday November 28th, 2014 the Dance Community in Southwestern Ontario comes together on stage for a spectacular evening of entertainment and all for the wonderful cause of Dog Rescue. A show like this has never been attempted before in the industry but on this special night, the Richmond Hill Centre for the Performing Arts hosts over 260 dancers from across the Province. Producer Scott G. Kufske is overwhelmed by the response to this show. Scott says “I am so grateful to the dance teachers and choreographers for all their help in organizing these families to gather for such a special evening. The children in the show are part of something representing integrity, compassion, and humanity. 25 of Ontario’s award winning Dance Studios and Companies will share the spotlight and hope to hand over $10,000 at the end of the show to 10 Dog Rescue groups from Ontario to share in that grand total. We will have a representative from the chosen 10 Rescue groups in the audience who will witness a passion of dance similar to the passion we all share for dogs. In addition, each performer and audience member will be bringing a can of dog food, so with a sold out crowd, the “Dancing for Dogs” rescues will share 850 cans of dog food! The “ruff”-le table (a take on a raffle table) will raise even more funds with amazing gift baskets, theatre tickets, and surprises. Numerous door prizes will add to all the excitement. Tickets for the “Dancing for Dogs” show can be purchased online on the Richmond Hill Performing Arts Centre website, or in person at the Box Office: 10268 Yonge Street, 905.787.8811, $30+HST, 8:00pm curtain time.